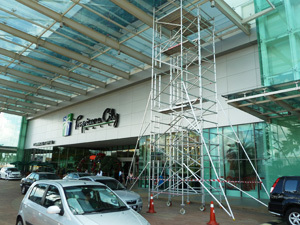 As the leading Aluminium Mobile Scaffold Tower manufacturer in Malaysia , PMB Quick Access Sdn Bhd supplies Double Width and Single Width Tower for use in high rise building. The towers are certified to HD 1004 and comply to BS 1139 (Part 3) to meet the standard of safety required and these towers are applicable for indoor and outdoor usage. 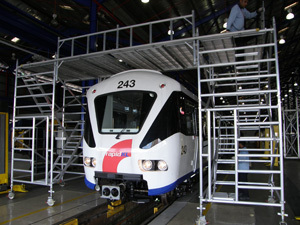 R & D department to design and build for all types of aluminium access products. 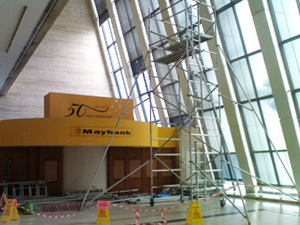 After-sales service, optional service contracts after warranty period and rental back up service. 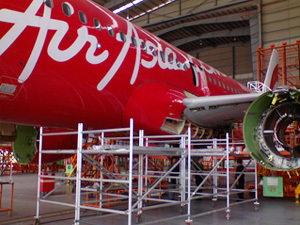 Operational and maintenance training courses. With the above services and products, we believe we are in the position to provide you with solutions to your access needs in effective way.